DAVID LE/Staff photo. 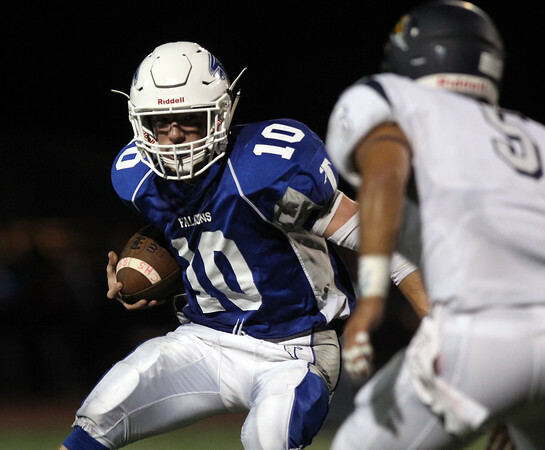 Danvers junior quarterback Matt Andreas (10) cuts upfield against Lynnfield. 9/19/15.